There are some words that enter our vernacular rather suddenly without much in the way of a formal introduction. The word ‘gluten’ is one such word. If you discuss eating, cooking, or diets at all, you have probably heard the word. You may have heard about people who have to avoid gluten. Perhaps you or someone you know has to follow a ‘gluten-free’ diet. That’s the definition and the science, but that just seems to bring up more questions. Does this mean that gluten is just found in wheat bread? No. It’s more complicated than that. Let’s begin with a list of grains with gluten. Some you will recognize immediately, while others may be less well known to you. As you can see, gluten can be found in many other places than wheat alone. All these foods contain gluten, the protein that creates elasticity and cohesiveness when processed. It’s what makes bread, cookies, and pasta stick together. It’s easy to see now where you would find gluten in baked goods, pasta, and even in crackers and crispy coatings on fried chicken. But, there are surprising places that you might not expect to find this protein. 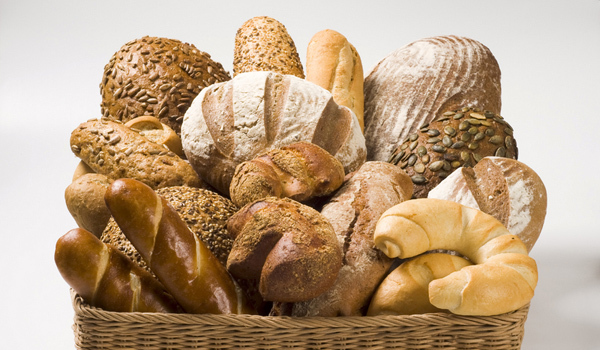 Because of gluten’s versatility in both cohesiveness and as a leavening agent, gluten is a handy additive to have around in many food processes. Let’s take a look at some foods where you would likely find gluten. In each of these items, gluten is present as an additive used to bind or leaven. Now that you see where gluten is present, I’m sure you’d like to know where you won’t find gluten. Again, some of these items may be familiar while others may not. Let’s take a look at a short list of gluten free food items. *Although oats are considered gluten-free, they are processed so often with other grains, such as wheat, barley, and rye, that oats are often ‘contaminated.’ This means that when purchasing commercial grade oats, you will most likely be getting some gluten in the finished product simply by being in the same batch, bin, or vat. You should look for oat products specifically labeled “gluten free” if you want to avoid gluten in your oats. Now that you know what gluten is, and where gluten is, and isn’t, you will have a working knowledge of how to recognize a diet with gluten, and a diet without gluten. These lists are beneficial to anyone with an intolerance to gluten, but are by no means all inclusive. Any symptoms of celiac disease or gluten intolerance should be diagnosed by your physician or other health care professional.